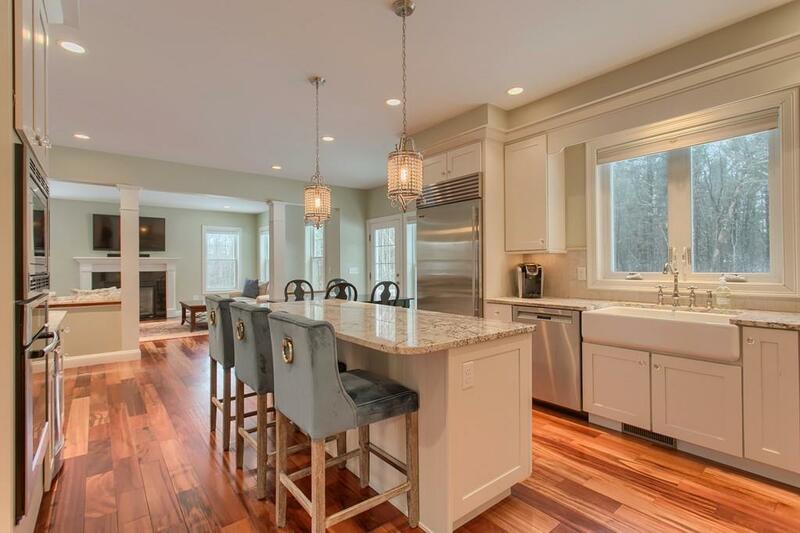 LIVE IN LUXURY in this NO EXPENSE SPARED South Westford colonial. Flawless tiger hardwood flooring, 9 ceilings and oversized windows create effortless flow throughout the 1st floor, perfect for entertaining and everyday living. 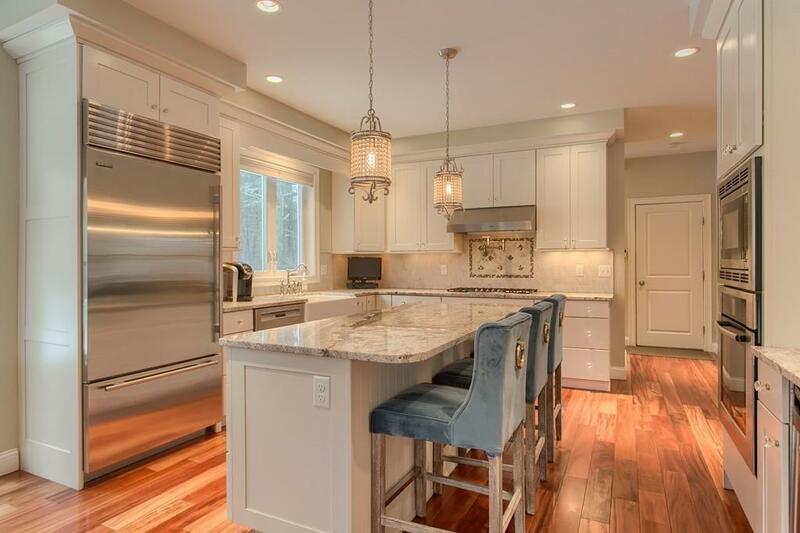 Dream kitchen with large granite island lit by stylish crystal pendants, expanded farmers sink, tile backsplash, lighted cabinets, SubZero and Bosch appliances including wall oven, 5 burner gas cooktop with vent hood and pot filler. Eat-in area has access to composite deck overlooking backyard. 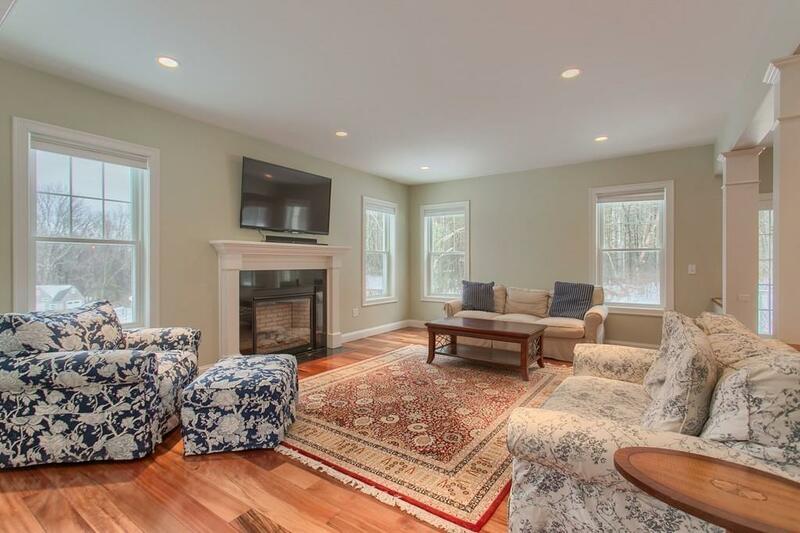 Bright 2-story foyer opens to living room and adjoining family room with large gas fireplace. Elegant dining room offers tray ceiling and wainscoting. The open hall at the top of the turned staircase leads to full bath, laundry and 4 bedrooms with hardwood. Master suite with spa-like bath featuring soaking tub and tiled walk-in shower. Extras - whole house automatic generator, tankless hot water, irrigation system and room to expand in walkout basement.